Dr. Vogel Named Top Doctor by Baltimore Magazine for the 10th Year! 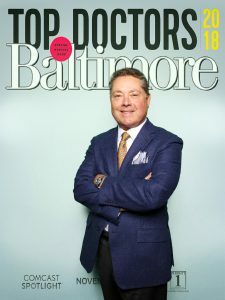 Home / Blog / Dr. Vogel Named Top Doctor by Baltimore Magazine for the 10th Year in a Row! Once again, our board-certified plastic surgeon—James E. Vogel, MD, FACS—has been named to the Baltimore Magazine Top Doctors list. Dr. Vogel is honored to receive this incredible distinction and expresses deep gratitude to Baltimore Magazine and his peers who recommended him for the 2018 Top Doctors list. This is the 10th consecutive year that Dr. Vogel has been selected as a Top Doctor, which is a testament to how diligently he works at his practice to continuously provide patients with the best care and service in a state-of-the-art facility. Dr. Vogel also acknowledges that his achievements and successes are made possible by the tremendous support of his dedicated team. Dr. Vogel has been performing plastic surgery for more than 20 years, and offers a wide range of procedures for the enhancement of the breasts, body, and face. His practice also has a strong focus on providing hair restoration options for both men and women. Dr. Vogel has exceptional skill and vast experience in the latest hair transplant surgery techniques, including many effective non-surgical treatments. As an award-winning hair transplant surgeon, Dr. Vogel has gained special attention for his work with follicular unit extraction (FUE) techniques, corrective hair transplant procedures, and most recently his success with platelet rich plasma (PRP) and ACell injection therapy. 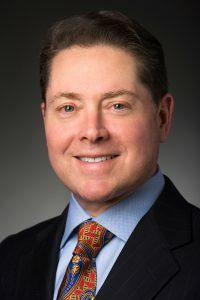 In addition to his private practice, Dr. Vogel is also a respected educator— he is the Associate Professor of Surgery in the Department of Plastic Surgery at The Johns Hopkins Hospital and School of Medicine where he trains plastic surgery residents and teaches medical students. If you are considering plastic surgery or hair transplant surgery, we welcome you to contact our practice and schedule a personal consultation with Dr. Vogel. Together you can discuss your cosmetic concerns and explore options that can help you reach your goals.